Here's a little sneak peak of what I've been working on.... a new baby animal collection for licensing. My fabric manufacturers are interested in a new baby group, something simple and basic, and we're both thinking mama and baby animals. 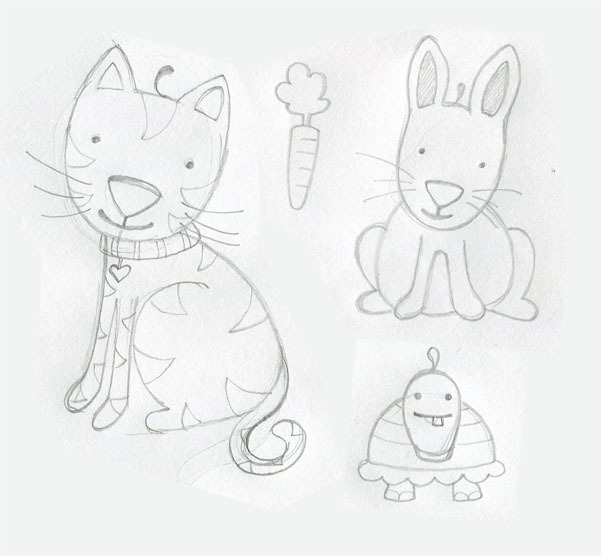 Dogs, cats, turtle, bunny, duck.... am I missing anything? I threw around the idea of a farm theme, or jungle theme, but they asked for simple, so I've decided on basic animals, sort of pet friendly. Pinks, blues, and gender neutral.... I have ideas for coordinating prints - I'm excited to roll up my sleeves and get to work! Things have been very exciting in my world. I have a new agent, Christine Tugeau. Which I'm so happy about. I have admired her stable of artists for so long, and have wished I could be part of that team. It's surreal to think that now I AM!! And within a few weeks of signing on.... I'm excited to say that I am working on my first book with Ideals Publishing. 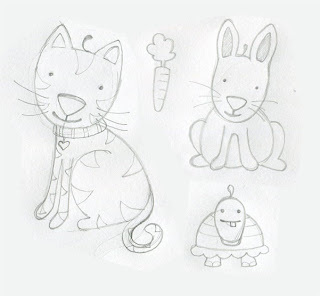 I just finished the initial pencil sketches and sent them over for approval. Fingers crossed that they'll be happy with them. I'm not able to share much about the project. But the book is due out in 2013. YAY!! I've also been working on getting some more samples sent to Christine for my portfolio. I'll be up on her site as soon as I can get a few more portfolio quality color illustrations. 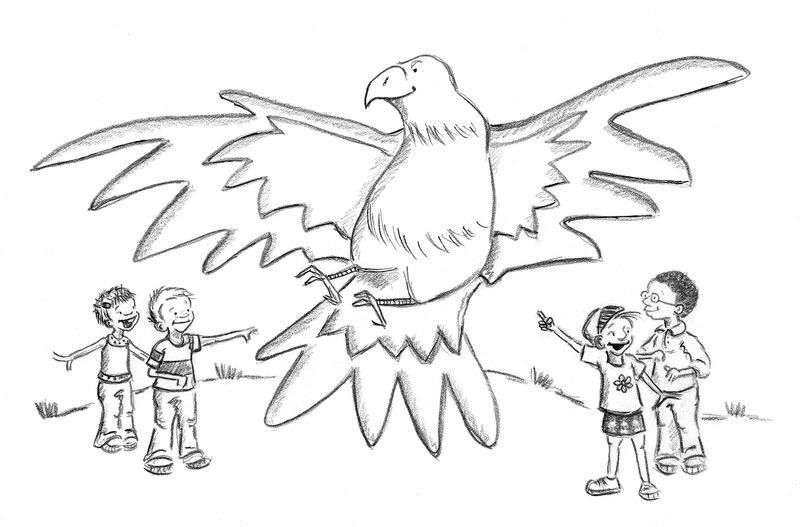 AND I've been working on an illustration for the girls' school. 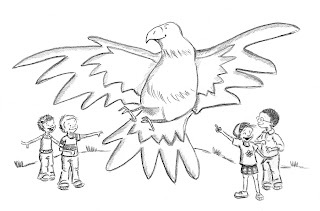 The school mascot is a Hawk, so I created this image for use on the school's sweatshirts/t-shirts. I'm so flattered that they actually wanted my art on the school gear.